This bluebird is a common small thrush found in wooded areas around here. 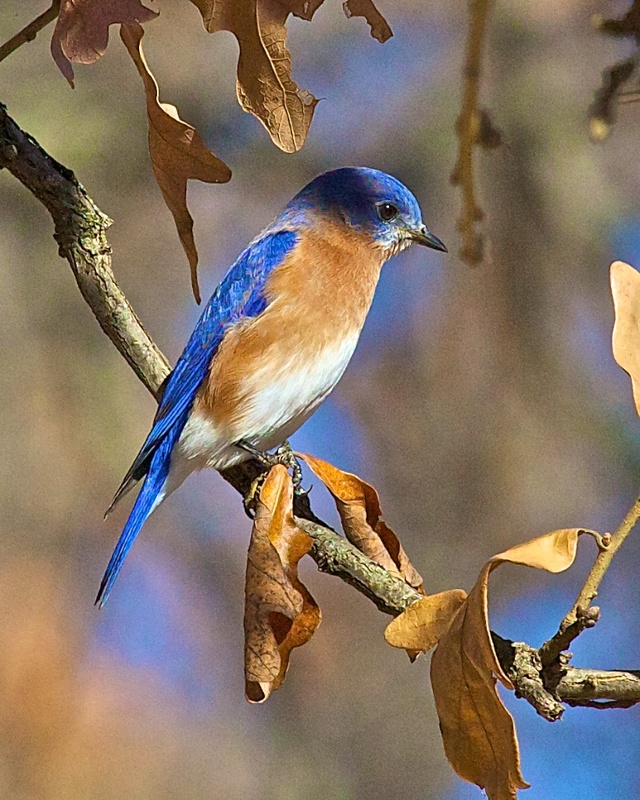 It is the state bird of Missouri and New York. Mainly an insect eater, but will take fruits and seeds when bugs are scarce. This one is a male, as the female is a little more drab. Beautiful shot! The bird camouflages even to the background color!